Linda Crampton grew up in the UK and loves to visit the country. She is very interested in its natural history, culture, and history. The village of Cheddar is located in the county of Somerset in England. It's famous for its popular cheese, a spectacular gorge located nearby, and some fascinating caves. 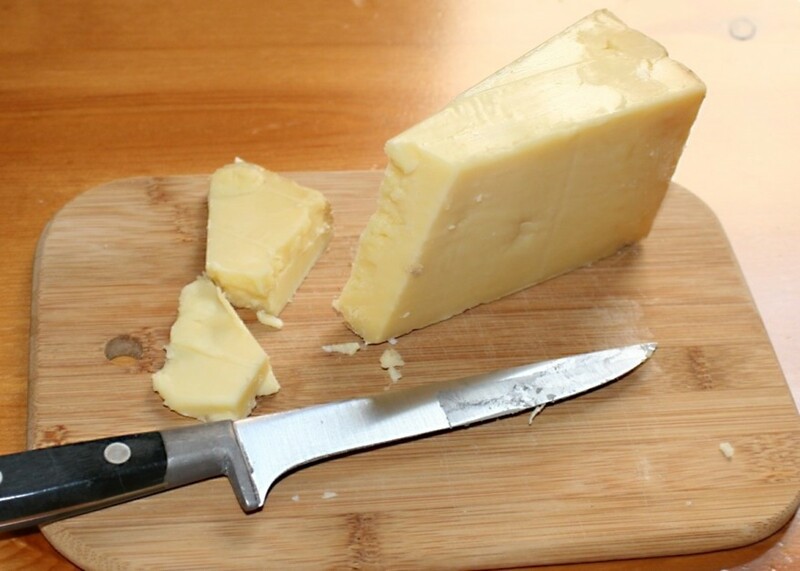 According to legend, Cheddar cheese originated when a milkmaid left a bucket of milk in a local cave to keep it cool and then temporarily forgot about it. When she remembered to collect the milk she found that bacteria had transformed it into a new substance—the first Cheddar cheese. Cheddar is located in southwest England and is a popular tourist destination. Though I live in Canada now, I visited the Cheddar area when I lived in Britain. It's an impressive place to explore. Cheddar Gorge, which is situated slightly to the east of the village, is the largest gorge in Britain and contains many caves. The two biggest—Gough’s Cave and Cox’s Cave—are known as show caves and are open to the public. Gough’s cave is famous as the original location of the Cheddar Man, a 9,000 year old male skeleton that was discovered in 1903. It's the oldest complete human skeleton found in Britain so far. 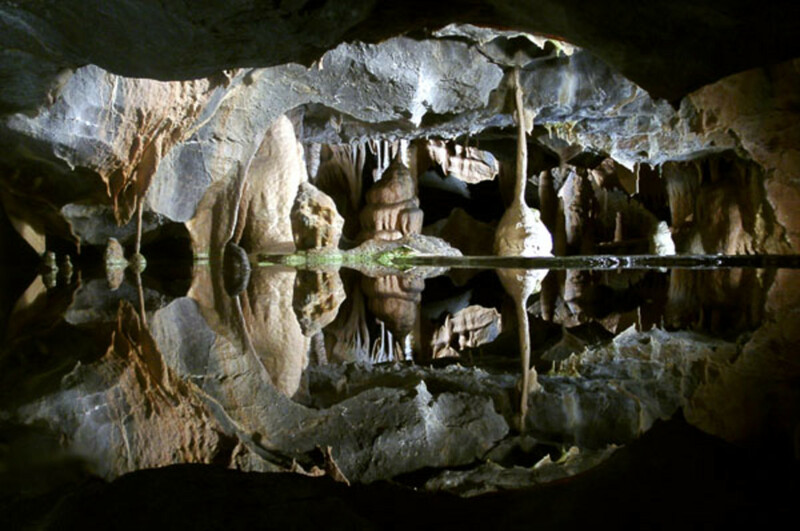 The Cheddar Yeo river flows underneath Gough’s cave and forms Britain’s largest underground river system. Cheddar cheese has traditionally been made in the Cheddar region, but today it’s also produced in many other places and countries. It's a hard cheese that is cream or pale yellow in colour and has a mild to sharp flavour, depending on its maturation time. The orange colour of many of the cheeses sold in food stores is artificial. 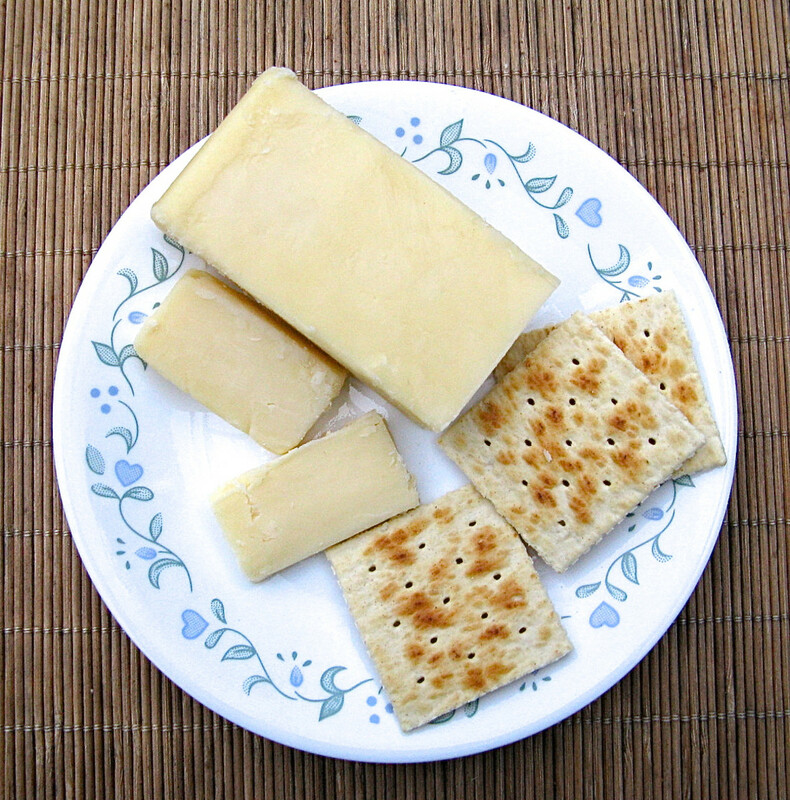 Mild Cheddar cheese is allowed to mature for about three months, medium cheese for about six months, and sharp cheese for nine to twelve months. The cheese with the strongest flavour matures for a longer period, which may extend to several years. Cheddar cheese is made from cow's milk. A bacterial culture is added to the milk. The milk is then separated into solid curds and liquid whey, usually by the addition of rennet. The mixture is gently heated after the rennet has been added. Once the pieces of curd have fully formed and joined together, a special process called cheddaring is performed. Slabs of fresh curd are piled on top of each other. The pressure created by the pile pushes additional whey out of the slabs. The pile of curd slabs is periodically flipped (usually every fifteen minutes) and more whey is allowed to drain. This process allows a firm cheese to develop. The Cheddar Gorge Cheese Company is the only cheesemaker still operating in Cheddar. It offers daily tours and operates a store. According to the company, a "true" Cheddar cheese has to meet three requirements: it must be made from milk supplied by cows grazing on vegetation around Cheddar, it must be produced by hand, and it must be matured in cloth. At one time cheese had to be made within thirty miles of Wells Cathedral in order to be called "Cheddar" cheese. 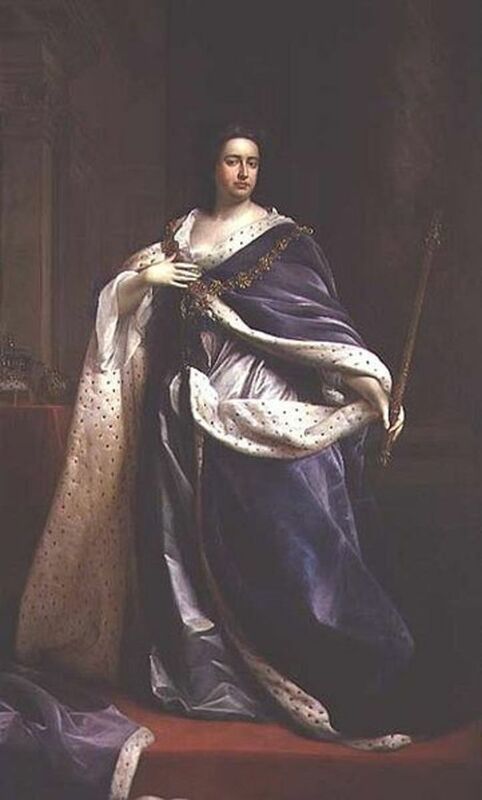 King Henry the Second bought 10,240 pounds of Cheddar in 1170. Queen Victoria was given a drum of Cheddar made from the milk of 700 cows and weighing 1,230 pounds. When Captain Scott went to the Antarctic in 1901 he took 3,500 pounds of Cheddar with him. Cheddar Gorge is located in the Mendip Hills (or the Mendips), which are made of limestone. Their formation began over 300 million years ago when sea corals and shelled creatures collected on the ocean floor. Over a very long period of time the calcium in the animals' shells was converted into limestone. 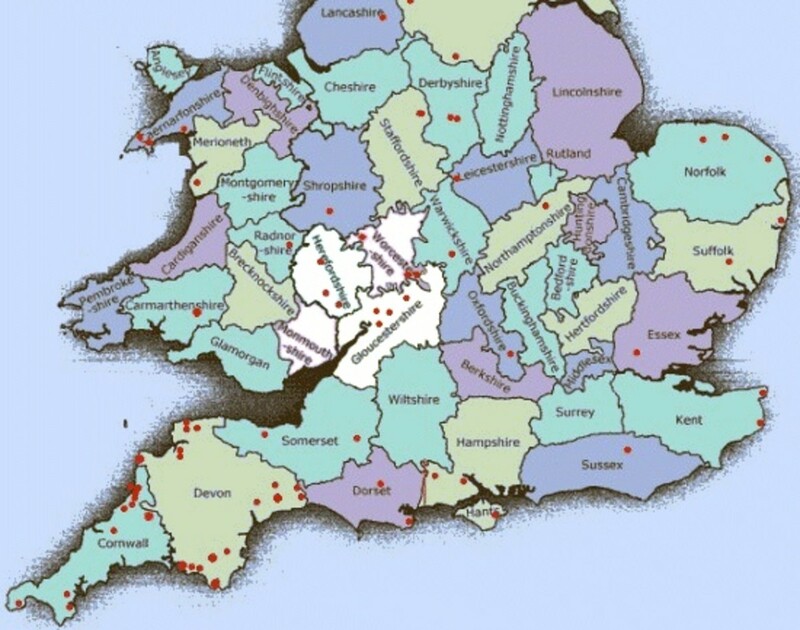 At some point the ocean floor was moved upwards, forming the Mendip hills. The formation of the gorge began about a million years ago when intensely cold glacial periods alternated with warmer interglacial periods. During each warmer period, some of the snow and ice that had formed during the glacial period melted. The process produced powerful meltwater floods that carried rocks and debris and gradually carved a passageway through the limestone. Today the gorge is about four hundred and fifty feet deep and about three miles long. 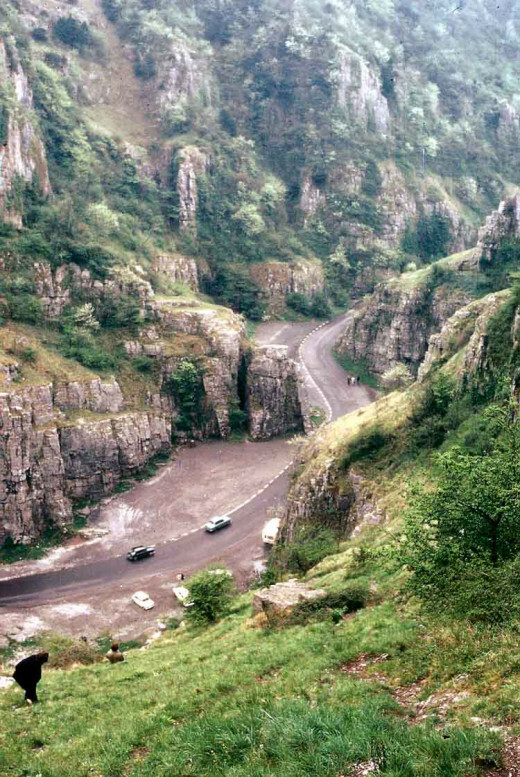 Cheddar Gorge is a nature reserve. It's a great place for walking, rock climbing, caving, nature study, and photography. An open-top double decker bus accompanied by a tour guide travels through the gorge. The guided tour is good for people who don't feel up to more vigorous activity or who would like to get an overview of what the gorge offers. Caves form when water drips through limestone and dissolves it. Gough's cave is the larger of the two show caves in the Cheddar Gorge and has multiple chambers. It contains spectacular and colourful formations of stalactites and stalagmites as well as underground pools. The River Yeo once ran through Gough's cave, but now it flows underneath the cave. The cave is carefully illuminated to produce an almost magical appearance, which I still remember from my visit. Free audio guides are available for visitors to carry around as they explore. The opening of the cave is surrounded by a visitor's complex, which includes a coffee shop. Cox's cave is attractive, too. It's more tourist-oriented than Gough's cave, however. Like Gough's cave, Cox's cave is illuminated, but the trip through the cave is also accompanied by music. Cox's cave connects to a chamber with a display called "The Crystal Quest". This is described as a "fantasy adventure" and contains models of Tolkienesque characters. JRR Tolkien visited Cheddar Gorge during his honeymoon in 1916 and is thought to have based some of the scenes in his books on his memories of the gorge. As people walk through the display they follow the story of a quest for a special crystal. I've never seen the Crystal Quest display, but it sounds like it might be fun for children. It's still worth visiting Cox's cave even if you don't like the commercialization in order to see its natural and beautiful features. 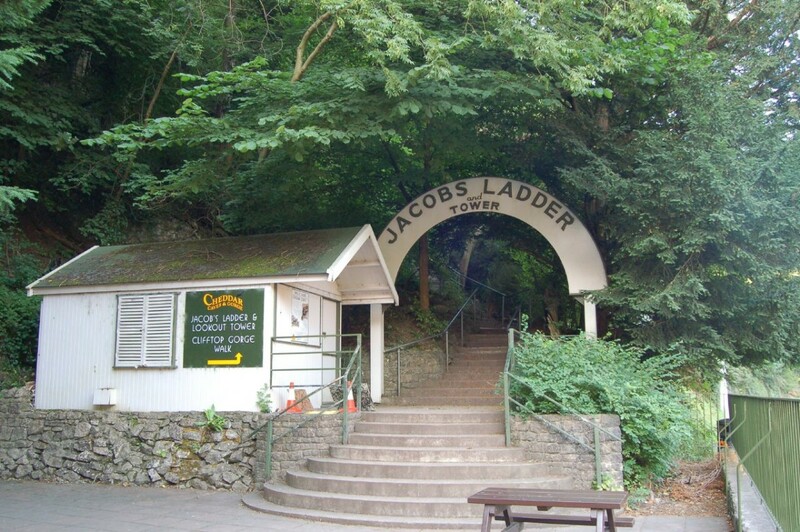 Near Cox's cave is Jacob's Ladder, a series of 274 steps that lead up the side of a cliff to a viewpoint and lookout tower. (There are areas to rest on the way up.) The viewpoint connects to a walking trail that travels over the cliff tops of the gorge. There are specialty shops in the area around the caves. The shops provide the opportunity to buy local Cheddar cheese as well as other items. Cheese is left in Gough's cave to mature because the cave provides a good humidity and temperature for cheese ripening. A museum is located near the caves. Artifacts discovered in the gorge caves are displayed here, as well as a replica of the Cheddar Man. The real skeleton is in the Museum of Natural History in London. The caves were occupied by humans as long ago as the Paleolithic period. Analysis of human remains found around Gough's cave suggests that the cave inhabitants were cannibals, but the reason for the cannibalism is unknown. The cannibalism could have been part of a ritual or it could have arisen because food was very hard to find during cold periods. Who Was the Cheddar Man? Many rare plants and animals live in the Cheddar Gorge and caves. The largest colony of greater horseshoe bats in the United Kingdom inhabits Gough's cave. This bat is endangered in the UK. Lesser horseshoe bats also nest in the caves, and these too are endangered in the United Kingdom. Peregrine falcons, dormice, water voles, great crested newts, and cave spiders are other animals that live in the gorge. Soay sheep graze on the cliffs and goats have been introduced to control the overgrowth of certain plants. There are some plants that grow around Cheddar but nowhere else in Britain. The Cheddar Pink (Dianthus gratianopolitanus) is grown as a garden plant, but the only place it grows in the wild in the UK is in the Cheddar Gorge. It's also known as the firewitch or as Bath's Pink. Another plant whose only British habitat is the gorge is the Cheddar Bedstraw (Galium fleurotii). Three new species of whitebeam trees have been discovered in the gorge. A visit to Cheddar is very worthwhile for people travelling to Somerset or a nearby county. There's a bus service to Cheddar from Western-Super-Mare and from Bristol. A railway line used to pass through the village, but the line has now become part of a long distance footpath. The gorge is just a short walk away from Cheddar village. There are hotels and other forms of accommodation in the village. Information about activities, accommodation, and transport can be found at the Cheddar village website. The Cheddar Village website has information about the village and the surrounding attractions. The Cheddar Gorge website is run by Longleat Enterprises. It has information about the gorge that may be helpful for tourists. 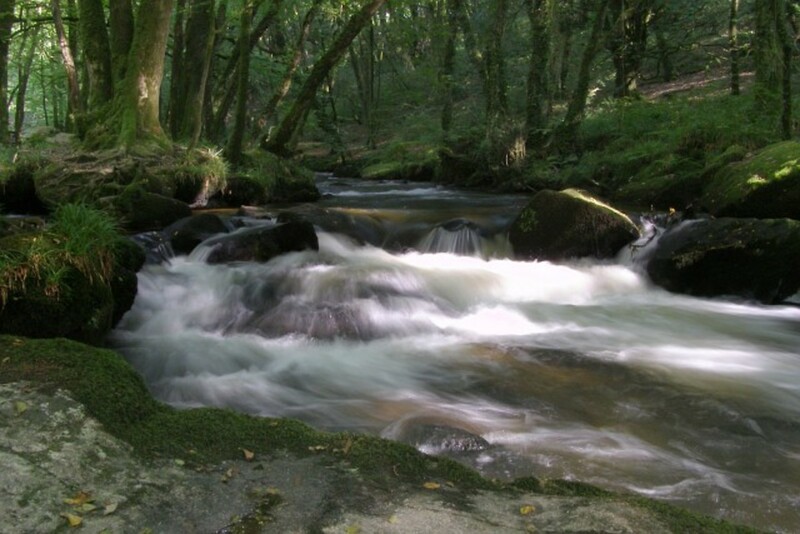 The National Trust also has a website about the gorge. The goal of the organization is to preserve areas of natural beauty and cultural significance. The Countryman magazine has a report about the discovery of three new whitebeam species in Cheddar Gorge. 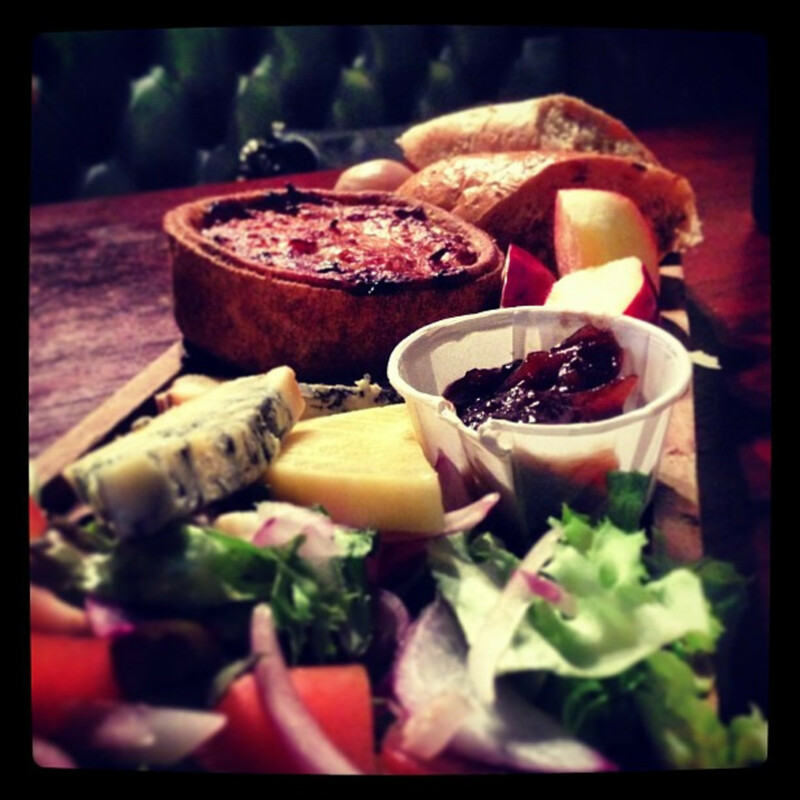 What is a Ploughman's Lunch? Thank you for the comment and the vote, Prasetio. I always appreciate your visits! Wow....I really enjoy all about cheddar here. Thanks for sharing, Alicia. Good job and always voted up! Hi, Adventuretravels. The caves are well worth visiting, especially Gough's cave. I have fond memories of Cheddar. The area is beautiful, as you say. The cheese is nice, too! Thank you very much for the comment. I am very fortunate because I have been to the Cheddar Gorge -it's a very beautiful part of the UK. I must go back there because I missed the Cave -have to see that it looks amazing. One of the joys of living in the UK :) Thanks for this very informative hub - I forgot to say that I love cheddar! Hi, Vin. It's nice to meet you. The formations do have interesting shapes! The cave is a wonderful place to let the imagination roam. Thank you for the comment and the vote, Lesley! Cheddar is my favorite type of cheese. The stronger flavored forms are very tasty! I'm hoping to visit the gorge and caves again in the future. Hi Alicia, I love cheddar cheese and probably eat far too much of the stuff, whenever we go away on holiday if it's one thing I miss, it's cheddar cheese! I haven't been to cheddar gorge and caves for years, this bought back memories it's a great place to visit. Hi, b. Malin. Yes, that's the way I feel about Cheddar cheese - I love the sharp varieties! Thank you very much for the votes. I hope you do make it to England some time! I simply LOVE Cheddar Cheese. The Sharper, the Better! I so Enjoyed reading the History behind Cheddar Cheese, as well as the informative Videos, Alicia. If I ever get to England, I'd love to visit some of these places, including, Cheddar Village. My Votes of Up, and Interesting, as well as useful go to you. Thank you so much for all the votes, Peggy! I appreciate your comment and the share, as well. Cheddar is a lovely place. I was pleased to find videos that showed some of the scenery. Wisconsin which is the Dairy State in the U.S. makes loads of cheese including cheddar. Learning about its origin was fascinating. The town of Cheddar seems charming and the Cheddar Gorge and caves are beautiful. Thanks for introducing me and others to this place in England. The videos were a great addition to this hub. Voted up, interesting, useful, beautiful and will share. Would love to go hiking in that gorge! Thanks! Hi, Nell. Thanks for commenting and for the votes! I'd love to go to Cheddar Gorge again. It's a beautiful place. Hopefully I'll make it there again some day! Thank you very much for the comment and the votes, Tom. I appreciate the share very much, too!! Hi my friend, thanks for all this interesting and fascinating information about cheddar cheese and the history of it as well, well done ! Thank you, drbj. Cheddar is a very tasty cheese and a very interesting place! I knew of cheddar cheese of course, Alicia, but very little about the Gorge, the Cave and the village of Cheddar. Thank you for enhancing my cheddar knowledge in such an interesting fashion. Thank you so much for commenting, teaches! Yes, Gough's cave is beautiful. It was a wonderful experience to see it. Gough's cave looks so mystic and beautiful. I would love to see this up close -- If only I could get past the cave entrance! Great hub topic and so interesting.